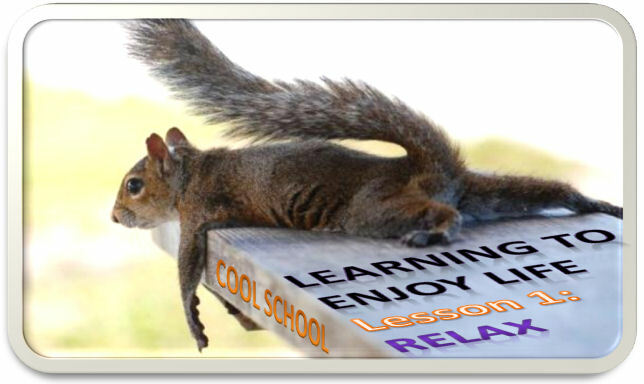 Have you heard about the Cool School of Life Long Learning? It really exists! And it was designed to let you relax. Because there is so much to learn, it takes more than an average human’s lifetime. So this means our life must be stuffed with learning experiences. And learning experiences take time. That’s why our world isn’t perfect. Because we all are experiencing. If there was a perfect world, there would be no experience. And without experience the will to say yes or no to a new creation is not possible. So we need experiences. We need an athmosfere that allows learning mistakes. And because we all have a different understanding of everything, we need to give eachother room for misinterpretations. Allow others than ourselves to make the same kind of learning mistakes we make. And don’t forget, anybody can try to explain something to anybody else, but will never be able to understand it for another! You have to do that all by yourselves. That is your learning path. And that is why we should take it all a bit more relaxed. Allow ourselves time to learn. 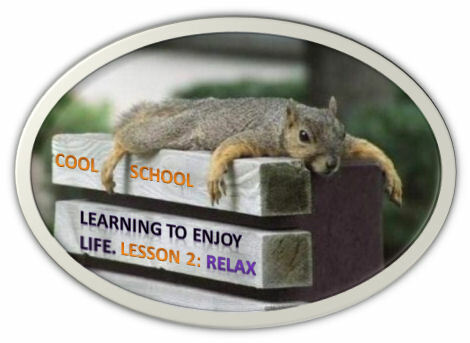 Have a good and relaxed learning journey! Picture originals here and here. The tweet from Jan Bommerez “A problem is an emotionalized situation. The situation is outside you, the problem resides inside you” inspired me to write this blog. You could also say that a problem is in fact an illusion, until we attach our own emotions to it. Then suddenly it becomes something real. So in fact we create our own problems. And by doing this, we create our own world, full of problems. And then we act frustrated because there are so many problems in our world. But we tend to forget we created them ourselves. So what should we do if we want to have less frustrations or less problems? Well, quite easy. First, recognize the illusion. For example, look at the below figure. If you look at it from one viewpoint, you can see an old, ugly woman’s face, grey-haired, looking in south-west direction. But you can also see a young lady in it, with brown hair and a grey veil, looking to the north-west. So it’s just a matter of perception. Next thing you do is follow Adi Da Samray’s advice “RELAX. Nothing is under control.” and make it part of our daily mindset. And finally, add to that a “good=good enough” mindset, and you will see your problems vanish bit by bit. And you will be starting to get more and more into flow. And replace your previous frustrations with happiness. Now who wouldn’t want that? As time goes by, we sometimes run into situations we never forget. These are the situations where serendipity (the act of unexpectedly finding something of value) can play a major role. Wikipedia states: Serendipity means a “happy accident” or “pleasant surprise”; specifically, the accident of finding something good or useful without looking for it. So it seems, serendipity is all a matter of coincidence. But do coincidences really exist? Or is there a higher (hidden) plan that guides us humans into believing we accidently run into coincidences? Either way, what really matters is if you can spot serendipities and act upon them. Social media might increasingly be helpful here. By connecting in social networks, you sometimes discover hidden value in a connection you couldn’t have dreamed of before. So the serendipity is all around, waiting to be discovered. Good hunting!